New MSC guidance - Is the fog beginning to clear? The flexible workforce, which includes professional contractors, is regularly acknowledged by the UK government, amongst others, as a major component in the wealth creation engine of the UK and world economies. Unfortunately, this has too often been contradicted by government action, which appears to create ever greater obstacles to the ability of this group to make that contribution. In addition, recent consultation processes have confirmed that government is still struggling to understand the different populations within the flexible workforce and its distinctive needs. Clearly, a professional IT contractor, a clerical "temp" and a seasonal fruit picker are very different individuals and the legislative and regulatory environment that is required to effectively support each worker is fundamentally different. Unfortunately, much government action seems to be applied with a "one-size-fits-all" approach which only works for at most one of the relevant populations. So, do the recent pronouncements from HMRC on MSC compliance and umbrella services signal a real positive step forward in the process of creating a compliant and effective market place for support services for flexible workers? Or could this be just another false dawn? The first element enables customers to be clear on what is compliant and what risks they are taking with the service provider they choose. The second element ensures that all providers compete on an equal basis and the "bad apples" are not allowed to prosper. Unfortunately, the market for the provision of support services to professional contractors has neither of these key attributes. As a result, the market place has been, and continues to be, covered by the "fog of uncertainty", allowing non-compliant businesses to provide the wrong services to the wrong people. Because HMRC has failed to enforce the legislation that is currently in place, these non-compliant businesses have never been stopped. However, a number of recent HMRC communications could suggest that the government is beginning to understand the needs of the industry a little better. On 3rd December 2008, HMRC issued further formal guidance on the MSC legislation, which clearly defined what it considers to be non-compliant methods of working. It highlights the HMRC view on a number of schemes, models or vehicles that have been developed since the introduction of MSC in an attempt to circumvent the legislation. It focuses particularly on offshore and (what have come to be known as) sole trader models and gives the HMRC view on the application of the MSC legislation to these schemes. While these additional pieces of guidance do not create the degree of clarity required for this market place, they are undoubtedly a helpful step in the right direction. There are essentially three principal ways a professional contractor can choose to work compliantly; on a PAYE basis via an agency, via an umbrella service or by being in business on their own account, either using a limited company, a partnership or operating as a sole trader. Each individual will choose the right way of working for them based on their personal circumstances. For professional contractors, choosing the right way to work is not simply a tax driven decision. There are a number of important factors to take into account and I would always advise contractors to take professional advice when making this decision. That said, now we have the MSC legislation, contractors who choose to run their own business need to ensure they are receiving compliant 'arms length' accountancy and support services in order that they don't lose the genuine tax benefits available for being in business. The HMRC guidance re-enforced the view that contractors should be wary of various "models" or "structures" that have developed since the MSC legislation and ensure they fully understand the additional risks they are taking if they choose to operate through these. The HMRC Guidance document was also encouraging in the message it sent out in relation to HMRC's intentions on enforcement. It was clear from the information available in the market prior to the guidance that HMRC was readying itself to formally challenge a number of the models that this new guidance refers to. The guidance document specifically confirms that "HMRC will now look for suitable cases to investigate and, where appropriate, challenge and litigate." If we look to the two key attributes the market needs as outlined above, this enforcement of existing legislation is undoubtedly necessary. And this commitment to enforcing compliance is consistent with the formal statements made by HMRC and the Treasury following the implementation of the MSC legislation back in April 2007. Ultimately, while we may not think the MSC regulations are the right legislative answer, whatever the framework imposed, it must be properly enforced by the authorities if a level playing field is to be produced for the many compliant businesses providing support services to professional contractors. Another recent illustration that the government is beginning to listen more to the industry can be seen in the Pre-Budget Report response to umbrella working. Its decision to not introduce yet further legislation in this area was an extremely sensible one. 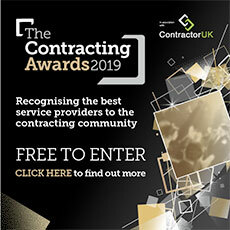 A range of industry organisations engaged fully in the consultation process and a consistent message was sent – "compliant umbrella services add real value to contractors, the existing legislation is fit for purpose, it just needs HMRC to properly enforce it". The consultation process clearly demonstrated that, at the start of the process, the government did not fully understand the flexible workforce in general and the umbrella service market in particular. After the consultation process was completed, the Treasury concluded that further legislation wasn't the answer and more robust enforcement of the current legislation was. This is definitely the right decision - non-compliant businesses need to be challenged and stopped. There have also been encouraging informal noises from HMRC that the ultimate piece of the compliance jigsaw might still be delivered. The 'audit' or 'review' standard that HMRC committed to producing for the industry after the MSC legislation was implemented may well not be dead. HMRC have informally confirmed there is still a commitment to publish an audit standard during 2009. While such a standard undoubtedly will be difficult to produce, it could provide real clarity on what services are compliant for any of the ways that professional contractors chose to operate. Such clarity would then enable contractors to have real confidence about what a 'compliant' (and therefore risk-free) service looks like and force service providers to compete on price and quality of service – just like any other compliant market. On another positive note, HM Treasury and HMRC are actively seeking to work closely, on an ongoing basis, with businesses such as Brookson as individual companies, but also as part of the Service Providers Association (SPA) to increase its knowledge and understanding of contractors needs at a grassroots level. This interaction between the government and SPA will continue to play a key role in ensuring the industry becomes fully compliant across all services provided to the flexible workforce. The flexible workforce of the UK is of critical importance to the UK economy and professional contractors are, in turn, a critical part of that workforce. The current challenging economic environment will highlight again the entrepreneurship, ingenuity, flexibility and tenacity of these professionals. The government needs to recognise this contribution with tangible, positive action in their support. While recent developments on the MSC legislation and umbrella service are a long way from delivering the range of support required, they are nevertheless a possible sign that the government is beginning to listen. Ultimately only government action can fully clear the fog within the market. Let's hope these small positive steps are genuinely a sign of better things to come rather than just another false dawn. Martin Hesketh is the managing director of Brookson, which provides accountancy, tax and support services for contractors working on an umbrella basis, or running their own businesses either as a sole trader or via their own limited company.